Choose Your Own Adventure: A Day in L.A.
Three ways to have a perfect SoCal day. 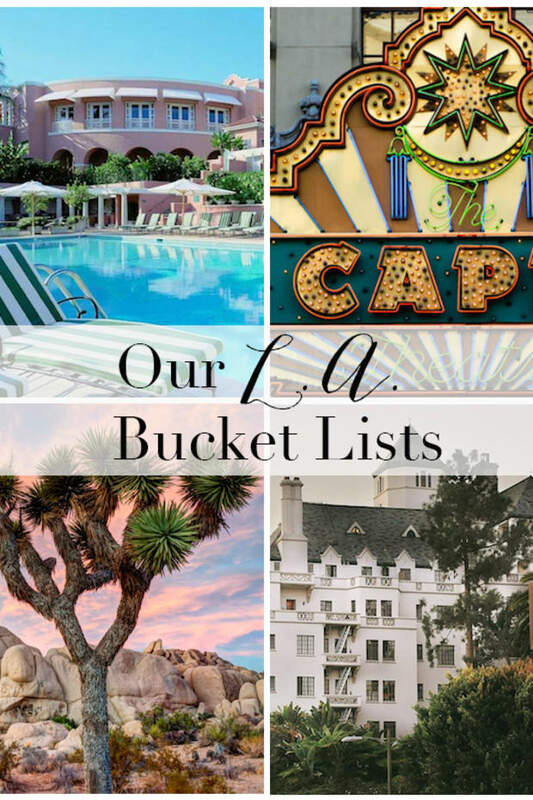 One of my most-requested posts is an updated guide to L.A.. But the truth is, there are so many different ways to see the city. 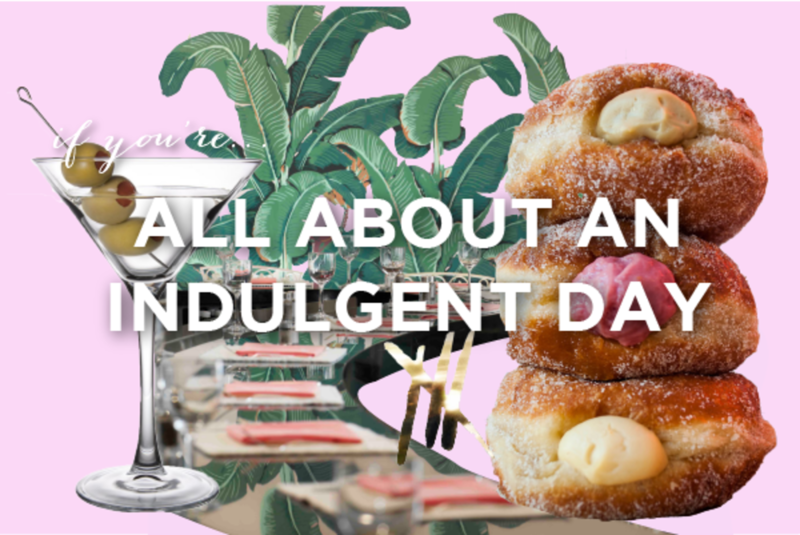 Whether you&apos;re a local simply looking for the best way to spend a Saturday, or all about the greener side of the city (and by that I mean both juice and outdoor sights), I wanted to do something different this time around. Here are three completely different ways to have a perfect day in L.A., for whatever you&apos;re looking for. 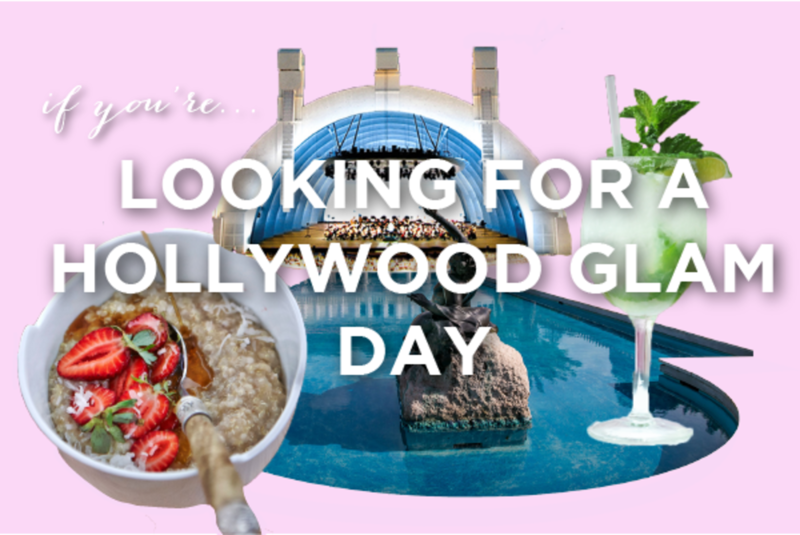 Of course, feel free to pick and choose—these are our ultimate, pie-in-the-sky days in L.A. so we didn&apos;t take budget into consideration—but it&apos;s easy to mix-and-match! 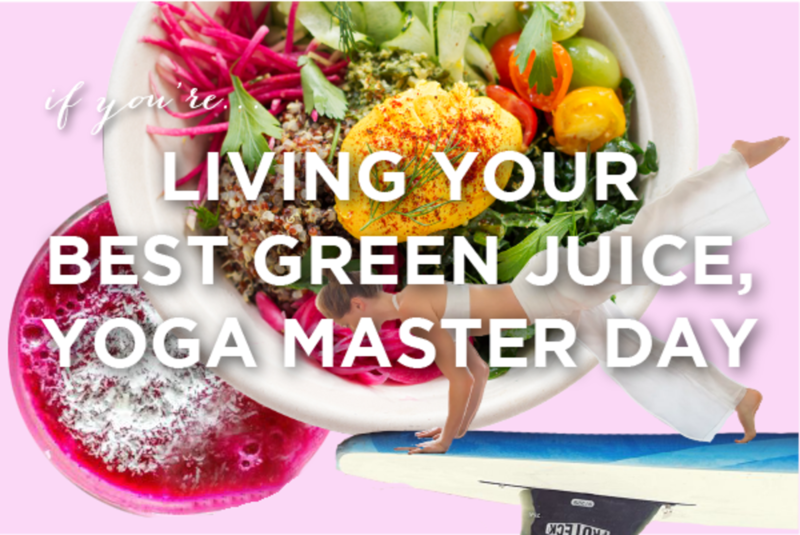 Come for the beach yoga, stay for the green juice. 9 a.m. Free Yoga at the Beach: Every Saturday, a teacher by the name of Yoga Bunny teaches free classes at Marina Del Rey. Grab a mat and get your pre-brunch stretch on! OR Yoga at Studio Surya near Venice: This bright and airy studio in Venice is a local favorite. 10:30 a.m. Brunch: Class ends at exactly the time brunch gets started in L.A. Head over to Butcher&apos;s Daughter for a vegan brunch and "wellness latte." Bonus points for a juice flight! 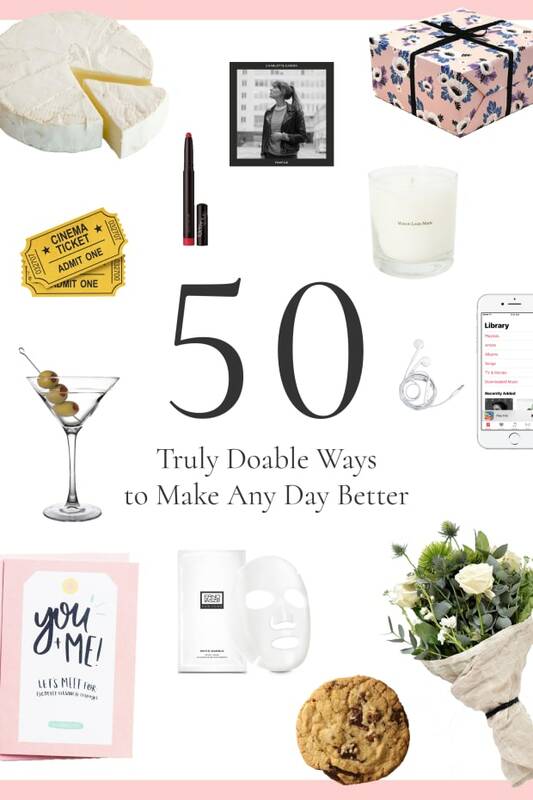 11:30 a.m. Juice To-Go: The key to an L.A. glow? Hydrate, hydrate, hydrate. We recommend Kreation, Pressed Juicery, or Moon Juice for a "Moon Dust" (maybe opt for "Spirit Dust" to get in touch with your inner Chakras...). 12:00 p.m. Paddle boarding at the beach: There are tons of spots along Venice where you can rent a board and head to the beach—take one out for an hour to get your Pacific fix! 1:00 p.m. Float Lab or The Now: Get your Zen on by meditating at the Float Lab or book a massage at The Now in Venice. Leslie swears by their massage, "The Healer." 2:00 p.m. Lunch at Café Gratitude Larchmont: It wouldn&apos;t be a "green L.A." list without a visit to Café Gratitude, where servers pose a "question of the day" to ponder while you order an "I am Glorious" off the menu (a.k.a., Tempeh Caesar Wrap). 3:00 p.m. Meditate at Unplug: Grab a pillow at the Wilshire studio for a guided meditation. 4:30 p.m. Snacktime at Honey Hi: This little café in Echo Park has some of the best grain bowls in the city. A team favorite is the "miso bowl," though they&apos;re all delicious! 5:30 p.m. Visit the House of Intuition: Even if you aren&apos;t into crystals, this little house off Sunset Boulevard has so many things to look at—from "magic candles" to an impressive selection of incense. Book a healing or reading ahead of time! 7:30 p.m. Sound Bath at Sacred Light: Several nights a week, Sacred Light in Los Feliz hosts Sound Baths, a one-hour session with a Reiki healer. (What could be more L.A.?). 8:30 p.m. Dinner at Kismet: While you&apos;re on the East Side, head to dinner at one of our favorite spots (which you may remember from this post!) to cap off your ultra-healthy day. 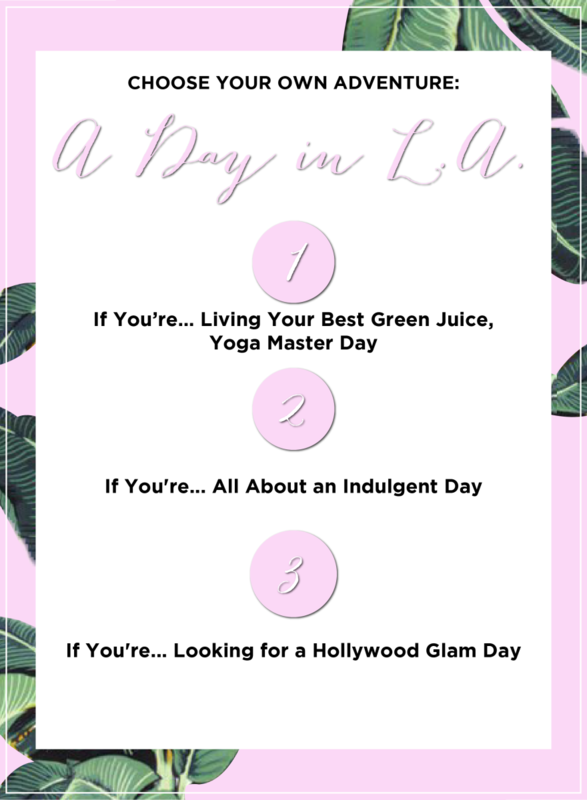 Here&apos;s how I would spent a day in L.A., if all options were on the table. 9:00 a.m. Mr. Holmes Bake House: Grab a coffee and cruffin at Mr. Holmes—their flat white is one of my favorites in the city (which is really saying something, since there&apos;s a lot of good coffee in this city). 9:30 a.m. Brunch at Republique: We&apos;re regulars at Republique since the restaurant is very accommodating to kids and has some of the best brunch options in the city. Their classic breakfast doesn&apos;t reinvent the wheel, but everything is better than any other version you&apos;ve had—it comes with a mini baguette, light fluffy scrambled eggs, and slab bacon. 10:30 a.m. Go shopping: Head to Beverly Hills for the best luxury shopping, whether you go to Barney&apos;s, Neiman&apos;s, and Sak&apos;s or hit up the designer boutiques along Rodeo Drive. Make sure to stop by one of my favorite jewelry stores in the city, XIV Karats, where I find a lot of my fine jewelry at a fraction of brand-name prices. 12:00 p.m. Tomoko Spa in Beverly Hills: What&apos;s better than sushi after a detox foot scrub, massage, and soak? Answer: Nothing. This Japanese spa is over-the-top indulgent, but that&apos;s kind of the point. OR Wi Spa: You could easily spend the day in the soaking pools here (they&apos;re actually open 24 hours), but they also offer all the frills of a regular spa, so treat yourself to a massage. 2:00 p.m. Grab a fried chicken sandwich at Honor Bar: When G and I were first dating and both lived in the area, we&apos;d go here almost weekly. It&apos;s a fantastic place to saddle up at a high-top table and indulge. If you want to go at night (be forewarned: they only accept walk-ins) stick around for the regular nightly jazz. Don&apos;t forget the fries that come in a mint julep cup! 4:00 p.m. Get prepped for dinner. Get your hair, makeup, and brows touched-up with a "Lucky Striiike" service at Striiike salon. 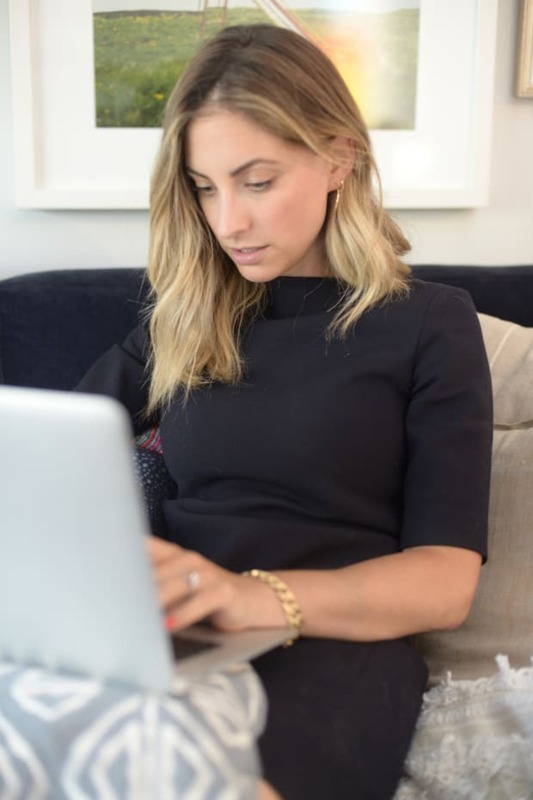 It only takes fifteen minutes for them to work their magic, and you&apos;ll walk out looking like a new woman for your evening plans. 4:30 p.m. Grab a pre-dinner martini at the Polo Lounge. Nothing feels more quintessentially L.A. than sitting in the outdoor patio at the Polo Lounge sipping a stiff drink or champagne. 6:00 p.m. Dinner at Providence or Petit Trois: Frequently named the best restaurant in L.A., Providence is as good as it gets, but with a steep price tag attached. If you&apos;re looking for something indulgent but more affordable, head to Petit Trois, a tiny French bistro that serves fantastic food in a very intimate vibe (i.e., only bar seating). 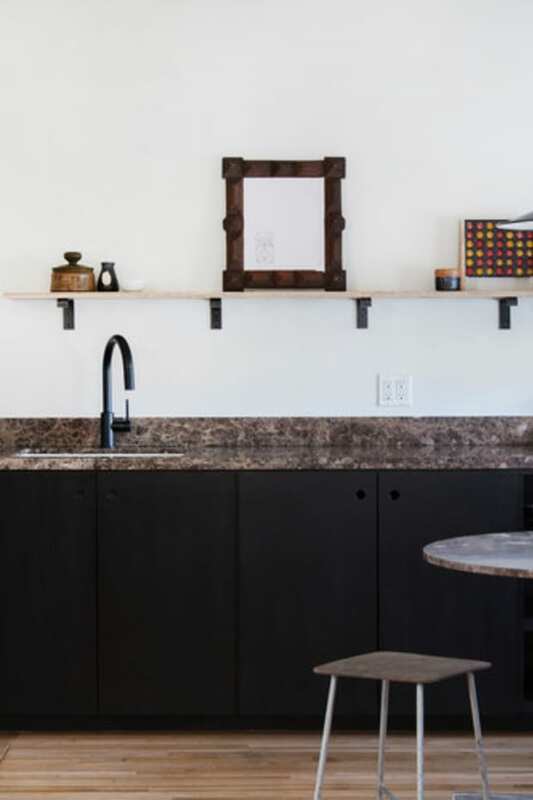 Due to the cramped space, the seats facing the kitchen are preferable—plus you get to watch all the action. 8:00 p.m. Ice cream at Salt & Straw on Larchmont: If you aren&apos;t tempted by the incredible desserts at Petit Trois or Providence, head to Salt & Straw for their ice cream flight, then wander around the cute shops along Larchmont which will be bustling with people enjoying sidewalk seating. Hit all of the must-see touristy spots, that locals actually go to. 9 a.m. Hike in Santa Monica Mountains: Before it gets too hot—or crowded—head along the Chumash Trailhead to La Jolla Valley for a beautiful hike with stunning beach views that dip into a wildflower-filled valley. 10:30 a.m. Brunch at Malibu Farm: Rub shoulders with the Hadids (or a ton of tourists) at this adorable restaurant located at the end of a pier in Malibu. Looking for something more low-key? Neptune&apos;s Net is a fantastic option for before-noon fish and chips, with a beer. 12:00 p.m. Tour The Getty Villa: While The Getty in Brentwood gets more people, the original site of The Getty in the Pacific Palisades, a recreation of an ancient Roman Villa, is often over-looked but worth visiting on your way back from Malibu. 2:00 p.m. Grab a mimosa at The Bungalow: This adorable bar, designed to look like a house party at a private home, is packed on weekend nights, but has a low-key crowd on weekend days. Grab a quick drink and enjoy the sunshine and ping-pong. 2:30 p.m. Late lunch at Ivy by the Shore: Grab lunch and their classic Ivy Gimlet (which you may remember from this post!) at this cute and classic bougainvillea-covered spot. 4:00 p.m. Head to LACMA: There are few things as quintessential as a selfie with the lights outside of LACMA, but venture into the exhibits and surrounding galleries, which are home to some of the most exciting contemporary artists. 5:00 p.m. Shop on Melrose Place: Rodeo is flocked with tourists, but you&apos;ll catch actual Angelenos shopping on the strip of Melrose between Beverly and the Pacific Design Center. 6:00 Dinner at Catch: Go knowing that Catch is mainly for the scene—the dinner isn&apos;t the best you&apos;ll have in the city, but the people-watching and rooftop view make the near-impossible reservation worthwhile. 8:00 p.m. See a movie on a rooftop: It wouldn&apos;t truly be a day in L.A. without seeing a movie, ahem, film. Head straight into the heart of Hollywood for a rooftop viewing on top of the Montalban Theater. Get there early for cocktails and the sunset. OR Concert at the Hollywood Bowl: Aside from having one of the most stunning views of the Hollywood Sign in L.A., the Bowl is an amazing and iconic concert venue where you can catch the L.A. Philharmonic or your favorite band. P.S., Looking for more L.A. tips? Check out my past Guides to L.A. here, here, here, and here. Plus, my favorite places to eat, the best chocolate chip cookies, coffee shops, and tacos in the city.